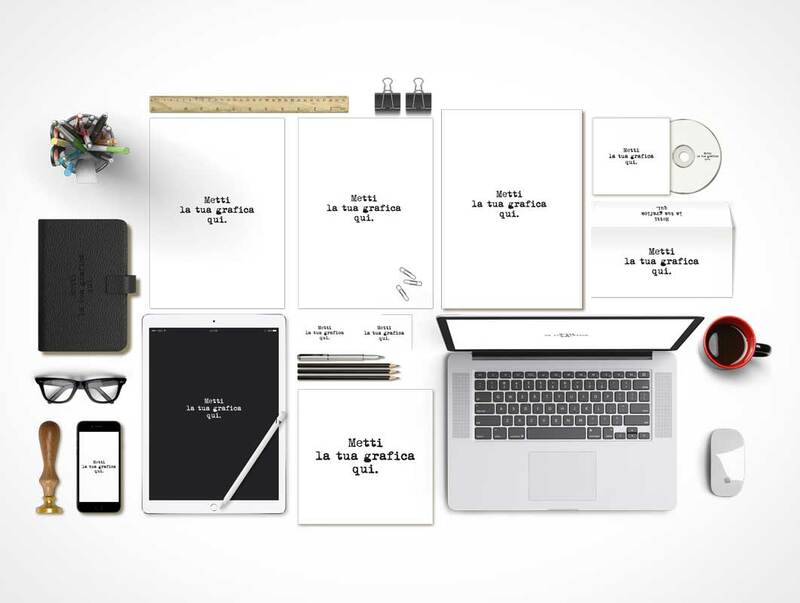 This stationery scene kit is one of the most complete sets we could find. It has everything from notebooks, hardcover ledgers and letterheads to electronic devices such as a MacBook laptop and iPad tablet. iPhone smartphones, mouse devices and many other items are all included on individual layers in this PSD template. Very high resolution and easily modified to generate a custom top-down layout of your own.